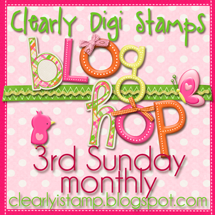 We have a winner from our September Blog Hop! Congratulations Loll Thompson from Stamping With Loll, you are our winner!!! Your name was chosen from Cassie's blog, A Day in the Life of a Homeschooling Mom. Please contact Cassie at cassandratrask@yahoo.com to claim your prize!!! Thank you so much. I had a wonderful time looking at all the fabulous creations for the blog hop! !